The Astrophysics programme is dedicated to unraveling the history of the universe. For this we study cool as well as hot and turbulent areas in deep space. Cosmic objects and phenomena in the hot universe release enormous amounts of energy and therefore radiate X-rays and gamma rays. The radiation from these objects and phenomena – such as black holes and the hot tenuous gas within clusters of galaxies and in the filaments between them - contains information about their origin and evolution and the universe itself. With the next generation of X-ray telescopes we will be able to shed light on some of the most pressing questions in astrophysics such as how did ordinary matter assemble into the large-scale structures we see today and how do black holes grow and shape the universe? But there are more questions that await answers. How are stars and planets born? Which molecules play a key role in the birth process? To discover this we must study the star cradles in the cool universe, the cool clouds of gas and dust in space. No optical or X-ray telescope can pierce through these clouds. But with special, deeply cooled instruments on space telescopes we can pick up the infrared and submillimeter radiation from behind these veils. For example, with this approach we have found water in the gas torus released from Saturn’s moon Enceladus, in gas streaming off comets, in planetary atmospheres, external galaxies, and around evolving stars. We now have a far better understanding of the cosmic cycle of gas that leads to the birth of stars and planets, and the role played by water and other molecules. The next generation of infrared telescopes will peer even deeper into the cool universe, back in time, when the first stars were born. The history of the universe, from the first stars to large-scale structure and the evolution and physics of black holes drive the Astrophysics programme. Cameras and spectroscopic instruments are the main tools. Aim of the Astrophysics programme is to encompass the science as well as the development of instruments (or subsystems) for space, with strong involvement of the Instrument science group and the Engineering group. Pioneering technology for strategic long-term plans of the Astrophysics programme, starting at low technology-readiness levels (TRLs), is developed in the Technology programme. SRON’s focus is on instruments for far-infrared and X-ray astronomy. Although chosen in accordance with SRON’s expertise and science interest, the impact of these instruments goes far beyond SRON itself. 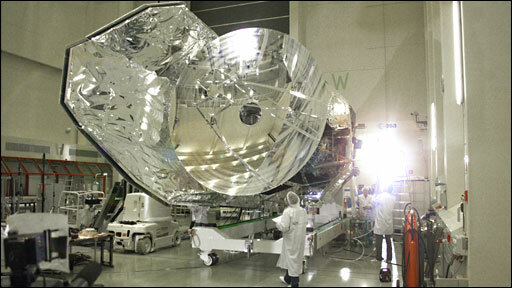 Among the most recent instrumental track records are the Reflection Grating Spectrometer (RGS) on ESA's XMM-Newton observatory, the Low Energy Transmission Grating (LETG) on NASA's Chandra observatory, and our contributions to the ASTRO-H (Hitomi) observatory (filter wheel for the Soft X-ray Spectrometer, SXS, and the calibration source onboard) . SRON is PI of the grating instruments on XMM-Newton and Chandra. Both are still operational and continue to be signficantly overscribed by observing proposals from all over the world. The Hitomi satellite is unfortunately lost, after a perfect launch in February 2016 and a few weeks of excellent operations. Our top priority now is to prepare scientifically and technically for Athena, the L2 mission of ESA’s Cosmic Vision programme, scheduled for launch in 2028. SRON is the co-PI of the X-IFU instrument. This will provide spatially resolved spectra of unprecedented quality and energy resolution of the early universe, thus charting its chemical evolution. It will also map the formation and evolution of supermassive black holes in the centres of galaxies. Our hardware contribution to X-IFU will be the focal plane assembly including its cold electronics. As a precursor mission to Athena, SRON will also contribute to the X-ray spectroscopic instrument on board of the Japanese XARM mission, scheduled for launch in 2021. XARM is a re-fly of the Hitomi satellite, for which SRON provided similarly. The Astrophysics programme in the high-energy domain covers historically the X-ray and gamma-ray regimes. This involves about 8 decades of the electro-magnetic spectrum - from about 0.1 keV to 10 GeV - that can only be studied with instruments in space. SRON has been active over this entire spectral range with contributions to various space missions and many scientific studies since the 1960s. 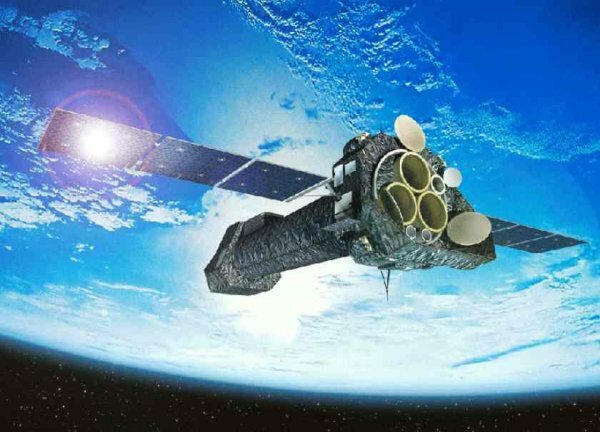 XMM-Newton and Chandra (both launched in 1999) were preceded within SRON by COMPTEL (the Compton gamma-ray telescope on NASA's Compton Gamma-Ray Observatory, CGRO) and the Wide Field Camera's (WFCs) on BeppoSAX in an Italian-Dutch collaboration. Also these satellites were launched in the 1990s (in 1991 and 1996 respectively), which clearly was a period with many milestones. Before that, in the 1970s/80s, COMIS/TTM (1987), EXOSAT (1983), COS-B (1975), and ANS (the Astronomical Netherlands Satellite, 1974) were the Dutch activities in high-energy astrophysics in space. COS-B was ESA's first dedicated scientific satellite. But there was more, in the 1960s already. Predecessors of SRON, namely the "Space Research Laboratory" of the Astronomical Institute at Utrecht and the "Cosmic-Ray Working Group" in Leiden, particpated e.g. with proportional counters for soft X-rays in various rocket flights and the ESRO II satellite and with a cosmic-ray electron experiment on OGO-5. Together with the "Space Research Department" of the Kapteyn Astonomical Instititute in Groningen (e.g. responsible for the UV experiment on ANS), these research groups were combined into SRON. 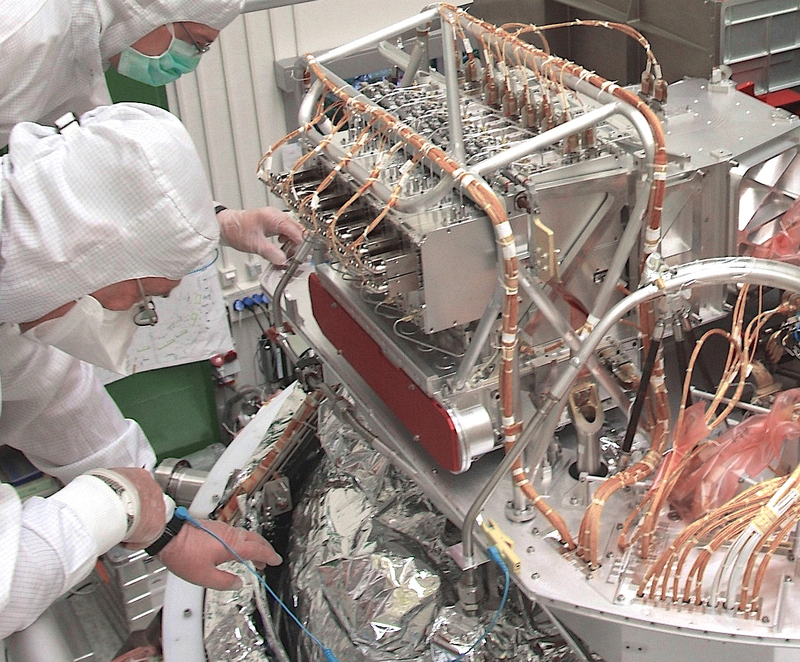 For many years, focus of the Astrophysics programme in the low-energy domain has been on the HIFI instrument (high-resolution sub-mm spectrometer) aboard ESA's Herschel satellite. HIFI has completed the post-operations phase in the meantime. SRON was PI of this instrument. After many years of development, building, and testing (with about 25 institutes and university departments involved in a dozen countries), HIFI has been observing the universe with unprecedented spectral accuracy at sub-mm wavelengths. The focus is currently on SPICA/SAFARI. SRON leads the large international consortium that submitted a proposal for SPICA, the next large cryogenic far-IR observatory, for the M5 competition of the ESA Cosmic Vision programme. If selected, the Japanese space agency JAXA will provide major elements to the mission. Launch is foreseen in 2030. SPICA will study the obscured star formation and black-hole activity of thousands of individual galaxies. It will also study cradles of planetary systems, providing a full inventory of their water content. Besides leading the proposal consortium, SRON is the PI institute for SAFARI, the far-infrared grating spectrograph/ polarimeter. The Astrophysics programme in the low-energy domain covers historically the infrared/sub-mm regime, which ranges from about 2.5 to 1000 µm and can only scarcely be explored from Earth. Several types of detection techniques are necessary to cover this broad spectral interval. SRON has been active in this field with contributions to various space missions and many scientific studies since the 1970s. In the years 1967 to 1985, SRON participated in the ultraviolet instrument for ANS and a number of infrared instruments (Inframap, BIRAP, and in particular IRAS). Two of the instruments on IRAS (launched in 1983) were built by SRON: the Low Resolution Spectrometer (LRS) and the Chopped Photometric Channel (CPC). In November 1995 the Infrared Space Observatory (ISO) was launched. One of the 4 instruments on board the satellite, the Short Wavelength Spectrometer (SWS), was built by SRON (PI) and the MaxPlanck Institut für extraterrestrische Pysik in Garching. Many breakthrough observations were obtained with these instruments. Very high spectral resolution can be reached with heterodyne techniques, but the smallest wavelength was a few mm in the early days. Because of the astronomical importance of measurements with a resolution of a few hundred m/s at sub-mm wavelengths, a research programme was started at SRON in the 1970s for the detection of electromagnetic radiation at 300 GHz (1 mm) to 3 THz (100 µm). This research played an increasingly important role in collaboration with the group of Prof. Klapwijk on "Physics of Thin Layers" at the University of Groningen.